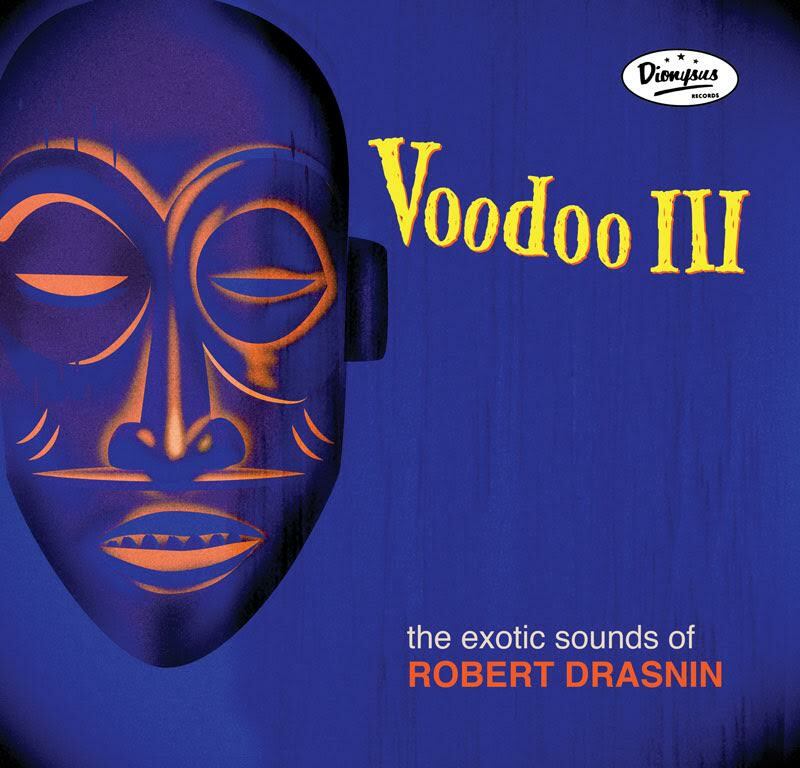 Robert Drasnin Voodoo III LP, CD, Digital Officially Released! Towards the end of Robert Drasnin‘s life – he set out to work on the third, and final, volume of Voodoo which he left unfinished. Drasnin had requested Skip Heller to complete his works and turn them into a releasable album. Skip finished Robert Drasnin Voodoo III which was rushed out as a super limited release, sold only at Tiki Oasis 15 with a few leftovers sold through Dionysus Records Mail Order. After numerous delays, including an entire pressing of records recalled to due to a manufacturing defect, the official release including remastered audio, extremely detailed liner notes by Skip, cover art by Claudette Barjoud, and package design by Bob Deck, is now officially released on LP, CD, and digital (available through iTunes, Amazon, and just about all streaming services). The first pressing of 500 LPs is on transparent blue vinyl. You can order the LP and CD straight from Dionysus at these links. Search your digital provider for downloads and streams. 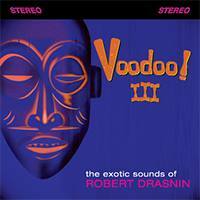 These works encompass all the elements that made Voodoo I and Voodoo II legendary entries in the world of exotica music. Towards the end of Robert Drasnin‘s life – he set out to work on the third, and final, volume of Voodoo which he left unfinished. Drasnin had requeseted Skip Heller to complete his works and turn them into a releasable album. 11 songs, plus one bonus were completed by Heller and Voodoo III was finished and rushed out just in time for Tiki Oasis 15 featuring cover art by Claudette Barjoud, designed by Thomas Kimball. The works encompasses all the elements that made Voodoo I and Voodoo II legendary entries in the world of exotica music. We have less than 40 copies of this Drasnin family produced disc currently. Please limit yourself to one copy unless purchasing for family or friends.